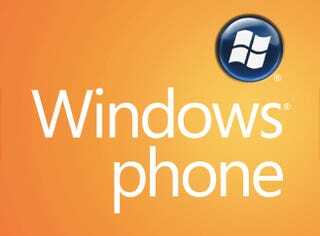 PPCGeeks is offering up a whole bevy of rumors regarding Windows Mobile 7 and what will be revealed at MWC next week. What they're referring to as Windows Phone 7 has a Zune-like interface and Xbox integration but no multitasking. The UI goes by the codename Metro and is heavily influenced by that of the Zune HD. The interface has been described as "clean," "soulful," and "alive," and offers a fully reimagined Start page. Third party UIs like HTC's Sense will no longer be supported. Windows Phone 7 will ditch Windows Mobile Device Center in favor of Zune's syncing software, and will offer integration with social media networks, Zune devices, and Xboxes, including friends, gamer tags, achievements and the like. Apps will only be able to be installed via the Marketplace, which supports an API as well as a try before you buy system. Flash will not be supported initially. Windows Phone 7 also won't offer multitasking, though apps will be able to receive push notifications while paused in the background. WP7 will also reportedly lack NETCF backwards compatibility. MobileTechWorld's report includes the tidbit that the browsing experience is faster than that of the iPhone 3G, and that Microsoft believes that Windows Phone 7 devices will roll out by September though they themselves won't manufacture any of them.